Walid is a Partner in the Dispute Resolution Department in Dubai. He specialises in complex Commercial and Corporate arbitration and litigation, often with cross-border elements. 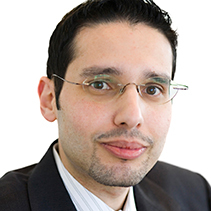 Walid joined Hadef & Partners in 2005. During that time, he has developed specialist knowledge of managing large scale, multi-jurisdictional disputes and has acted on a number of high-profile banking and real estate matters. Walid advises a diverse group of clients; including publicly traded and multi-national companies, as well as high net worth individuals on various contentious matters. Walid also specialises in local and international asset tracings and recovery, advises on financial crimes as well as on anti-corruption and anti-bribery issues. He further advises on extradition and mutual legal assistance as well as on sanctions and anti-money laundering matters. Walid has a Juris Doctorate and is admitted to the Massachusetts State Bar. Prior to joining Hadef & Partners, he practiced in the US, in both Chicago and Boston. He routinely lectures, and sits on various panels that deal with a variety of issues relating to regional legal trends and developments. Walid is fluent in English, Arabic and French. Walid Azzam is singled out for his adept handling of real estate and construction disputes. He is widely experienced on a range of contentious matters and led the aforementioned case for Abu Dhabi Commercial Bank. Walid Azzam is a well-regarded practitioner in the UAE, and was promoted to the partnership in 2012. He regularly assists with the team's highest-profile matters. Walid Azzam, Partner, assess the new initiative for one day court proceedings and the ability of Public Prosecutors to issue “Criminal orders” [judgments]. Walid Azzam, Partner, and Karim Mahmoud, Associate, discuss ways to ensure the collection of outstanding debts and the preventive measures that can be taken. Walid Azzam, Partner, and Karim Mahmoud, Associate, in Hadef & Partners Dispute Resolution team, discuss the recovery of funds due to a debtor from third parties using garnishment applications. Walid Azzam, Partner and Karim Mahmoud, Associate in Hadef & Partners Dispute Resolution team, discuss aspects of fraud in financial institutions. Partner, Walid Azzam, and Associate, Karim Mahmoud, discuss the challenges of criminal complaints and the practicalities of getting these accepted by the UAE government authorities. Walid Azzam, Partner in Hadef & Partners’ Dispute Resolution team and Associate, Karim Mahmoud analyse the legal position of service in Egypt under the Riyadh Convention. Partner Walid Azzam and Associate, Karim Mahmoud in our Dispute Resolution team discuss the legislation and position of bribery in the UAE and the UAE’s efforts to reduce corruption. HADEF IN THE COURTS: A recent trade mark decision which highlights the benefits of registering in the UAE. Monthly report based on practical experience of our team of advocates in the courts of the UAE. This month, Tarik El-Bakri discusses a recent trade mark decision which highlights the benefits of registering in the UAE.